Missoula is preparing to move forward with Trout Unlimited to remove an obsolete dam from Rattlesnake Creek. On Wednesday, the City Council’s Parks and Conservation Committee voted unanimously to forward to the full council an updated agreement with the conservation group. The new memorandum changes little of the original agreement, signed about 18 months ago, except to define some decision-makers and decision points as Trout Unlimited works with the city to remove the dam and restore Rattlesnake Creek. Valliant said much of the site assessment and preliminary design work has been completed, so he’s starting to develop the site’s recreation plan. The 45-acre site will be designated as a parks reserve, an area set aside for “nature first,” and will be folded into a larger rebuild along the creek’s greenbelt. Currently, the site is home to a 120-year-old dam that once provided the city’s water. When Missoula converted to groundwater in 1983, the dam was taken offline. 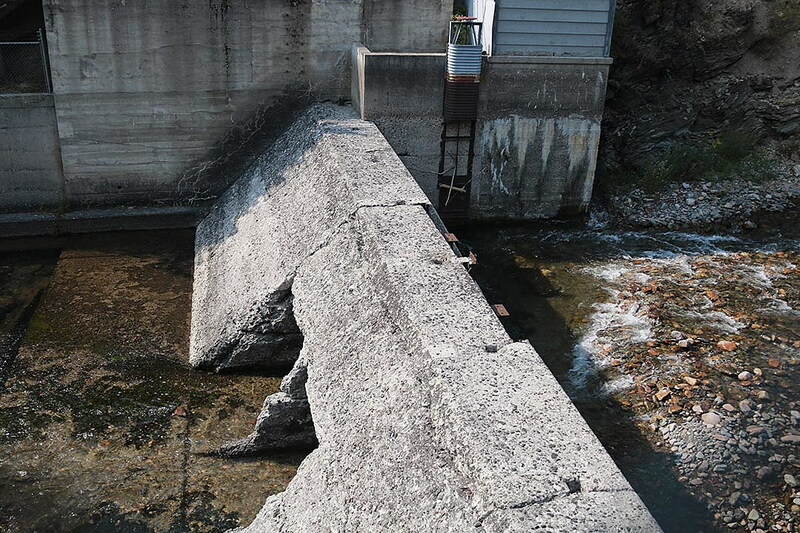 The headgates were removed in 2012, so the structure no longer can store water or generate power, but it still affects migration of native trout. Also, the concrete has continued to deteriorate and now poses a safety hazard. In May, Trout Unlimited and the city offered Missoulians four alternative visions for how the creek should turn out. “The public overwhelmingly felt alternative 3, a full-scale restoration, would be the most beneficial for the site,” said Trout Unlimited project manager Rob Roberts. Roberts said engineers are halfway through refining the design, but the plan is to get permits and for bids to go out this summer so the dam can be removed in summer 2020. Roberts estimated the total cost at between $1 million and $1.8 million, depending on the final design, who bids on the project or what unforeseen problems arise. Specifically, demolition would cost between $450,000 and $800,000 although it could potentially reach $1 million. Restoration would run between $350,000 and $500,000 although it could go as high was $800,000. So far, about $200,000 has been spent on planning. Roberts said there’s still not enough funding, but grants and donations are starting to add up. The project already has $624,000 in committed funds, including $140,000 from the Hewlett Foundation Open Rivers Fund and $25,000 each from NorthWestern Energy and Missoula Water. Another $800,000 is projected to come in, including $400,000 from the Federal Emergency Management Agency, $200,000 from the U.S. Fish and Wildlife Service and $125,000 from the Montana Department of Natural Resource and Conservation. “None of that includes grant proposals that we haven’t submitted yet,” Roberts said. The City Council will vote on the updated memorandum Monday night.